Better late than never! Here are a few of my favorite things for your favorite farmer! Cow Jewelry from Cow Art and More. 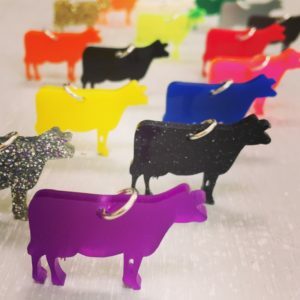 When a dairy veterinarian is also a jewelry artist, you know she’s going to get what a cow looks like right. 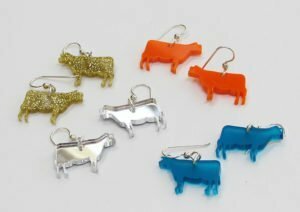 These super cute cows come in a variety of colors and styles. The only debate is if the silver sparkle are Jersey or Swiss! Order by December 12th using code COLORCOW20 to receive 20% off your Colored Cow order. Stepping out of Herriot’s Shadow. 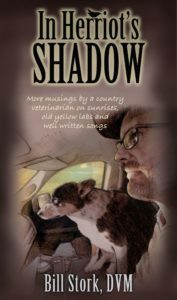 If you’ve been a follower of mine, you might remember me talking about one of our local dairy veterinarians writing a book. I even shared that book on my Christmas Gift Guide a few years back. Well Dr. Stork has recently published a follow up book chronicling his life as a Large and Small animal vet. It’s the perfect gift for your favorite reading farmer. The Dairy Carrie Cheese Box. I can’t even try to hide my excitement over this! 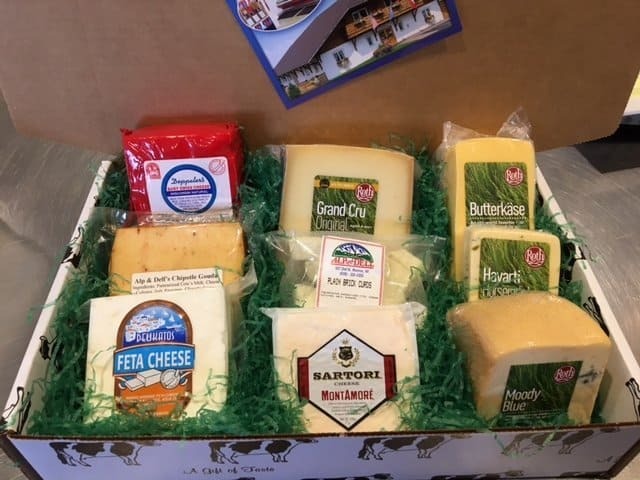 I have worked with my favorite cheese store to have a special gift box filled with some of my most favorite cheeses available for you to order online and have shipped anywhere in the lower 48! With a wide range of options this box will have something everyone will love and at least one thing that will be new to try. The box includes Buttercase, Horseradish Havarti, Chipotle Gouda, Feta, Fresh Cheese Curds, Gran Cru, Montamore and Moody Blue. This is the perfect place to shop for the littlest farmers! Celeste is a farm mom herself and knows how hard it is to find good agriculture related baby items. Check out all the options for cute and personalized future farmer gifts on her site! Before Barn Baby Boutique, Celeste used her creative energy to design awesome metal signs and ornaments. She has loads of options for ag themed signs and many can be personalized! But don’t delay, Christmas orders should be in by DECEMBER 7th for Barn Baby items and DECEMBER 12th for metal signs and ornaments. Use code DCCHRISTMAS16 for free shipping! 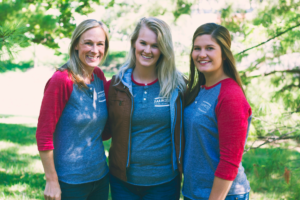 I’ve shared FarmHer on my lists in the past and this year you have got to check out the new items they have available. 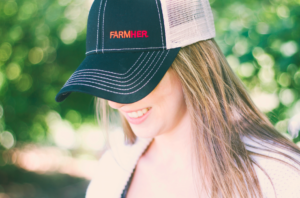 Not only are they a great gift for your favorite farmer, purchases support FarmHer and that makes it even more awesome! Order using DCHOLIDAY20 to receive 20% your order! VIV Fleece Lined Super Soft Leggings! Another great gift for farm women, these super soft fleece lined leggings are perfect to flip under jeans or bibs to keep your favorite farm girl warm. Hubs needs new long johns and these are so great I tried to convince him that he doesn’t really need the “special pocket for guys” that these don’t have. He has stayed his ground that he refuses to wear women’s leggings but I guess that just means he won’t be stealing mine! The best part about these leggings is that they are only $14/pair! Duluth Trading Company Bare Naked Underwear. Somehow I recently found myself privy to conversation about underwear. The two people speaking were both males in my family. They are on opposite side of my family and they were not talking to each other. Both guys declared that Duluth Trading Company’s Buck Naked Underwear were the best underwear they have ever had. I won’t go into further detail on their comments because I am too traumatized by hearing my male family members discuss their underwear. But I will say that both guys are hard working dudes and if they love them, they have to be damn good underwear. 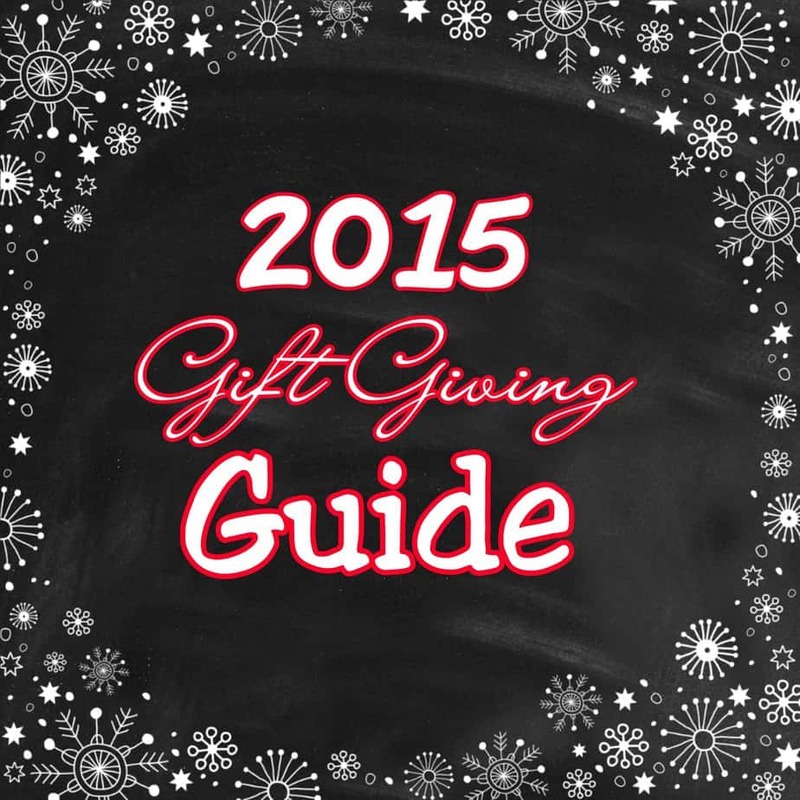 If you need more inspiration, check out my previous years Gift Guide posts. 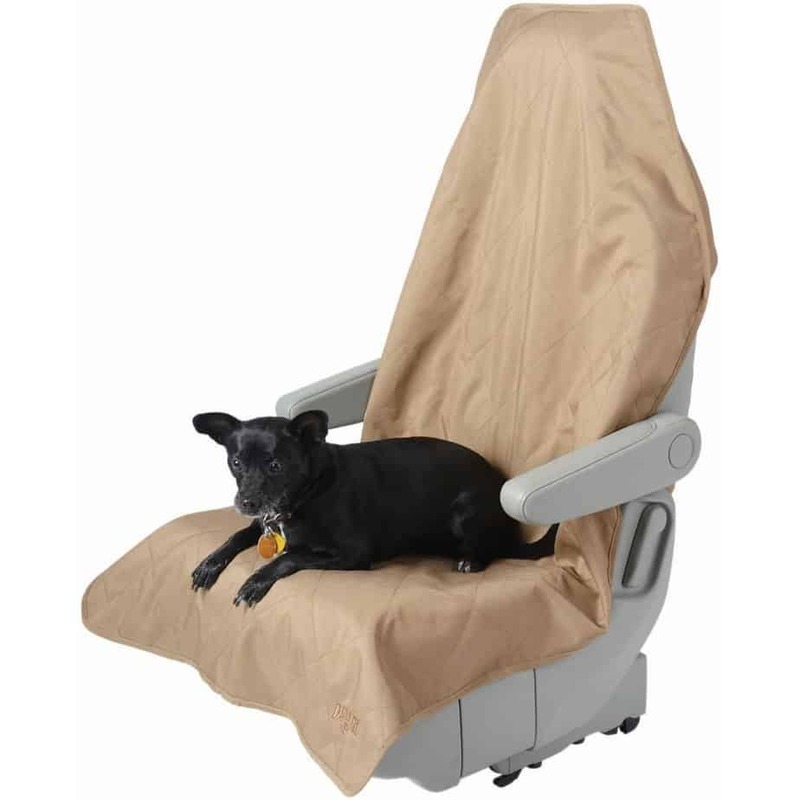 A few more ideas HERE and HERE. Getting girly with Born in the Barn bracelets!